Sunday I woke up to the news that a local synagogue here in our community – Congregation Shaarey Tefilla – was vandalized with swastikas and other messages of hate. It’s hard to imagine that this kind of hate exists in my family’s hometown — in the hometown of Alpha Epsilon Pi International. But, it does. I’m proud to tell you that as soon as the news of this atrocity reached our community several members of the AEPi staff went to the synagogue to volunteer. 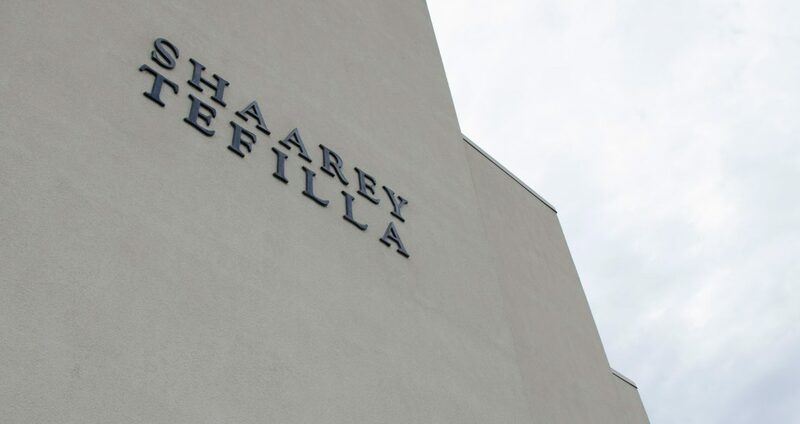 Monday night, there was a community-wide service held at the Shaarey Tefilla. AEPi’s Indianapolis based staff was all there, demonstrating our commitment to our Jewish values and developing leadership for our community. I was up early on Sunday to head to the office to work with our dedicated staff as we get things prepared for next week’s 105th International Convention in Phoenix. It was quite a juxtaposition for me: on the one hand, most of our team was busily working away on a Sunday morning, making plans to put together a convention which will help educate and empower the future leaders of the world’s Jewish communities and, on the other hand, everyone’s mood was soured because of the news of this offense. What are we going to do to make sure that this behavior doesn’t escalate? How can we prevent hatred? How can I tell my children growing up in this Indianapolis community that they are safe and loved? The answer: develop leadership and promote action through AEPi. At next week’s #AEPi105 convention, our undergraduates will hear and learn from scores of experts – both Jewish and Gentile — speaking to them about leadership, building empathy and communities and rebutting hate. Our brothers will lead the charge on their campuses and in their communities to stand against intolerance and hatred. I can’t wait to see you in Phoenix next week to continue this discussion and to celebrate AEPi.